Dave Ramsey is one of the most well-known American financial gurus of the 21st century. He has lived the American Dream – building himself up from nothing to the multi-millionaire he is today. When he was younger, he found himself in debt. Because of the frustration he felt living with financial regrets, he decided to take control of his finances and change his life! Because of his success, he has become a famous author, motivational speaker, financial broadcaster, television personality, and businessman. Below are 9 of Dave Ramsey’s successful money tips to help you get out of debt and save! In other words, you should know where every penny in your bank account is going. This is a key part in managing your money. You should know exactly how much is going to rent, utilities, bills, retirement, etc. This tip requires you to create and stick to a budget. If you have fallen into the bad habit of thoughtlessly spending on things that you “want”, you will never know the security that a budget can provide to you and your future. Before you start paying off debt, investing, or saving for retirement, you absolutely need to create an emergency fund. Unexpected expenses, unemployment, and sickness are very normal parts of life. Ideally, an emergency fund should be enough to pay 3-6 months’ worth of expenses. Try to save at least 10% of each paycheck until you reach your goal. Occasionally, add extra to your emergency fund to accelerate the process. Put your tax return into the fund and cut back on monthly expenses. If you find yourself in unfortunate circumstances, you can either fall back on your emergency fund or get into credit card debt. If you are frustrated that you can’t get your budget down after 3 months, don’t give up! It can take up to 6 months to create a sustainable budget. It will take time for you to get use to budgeting. There are a lot of great apps out there that allow you to set up your own budget and track your savings. A couple highly recommended apps are Mint, Personal Capital, and Every Dollar (Dave Ramsey). All of these apps will track your digital spending from your credit and debit cards. First, you must input all the data and credit/debit card information – then the app will start to track your budget by itself. Don’t forget to input any purchases you made in cash. Many people have fallen into the incorrect thinking that it is completely normal for them to spend every penny they earn each month. You need to make your money work for you and learn to live on less than you make. Spending all your paycheck typically leads to overspending. As a result, you will live your whole life being a servant to the lender – never getting ahead or heading towards a comfortable retirement. Dave Ramsey is famous for saying that anyone can become a millionaire by finding a way to save $100 a month. If you wait until your 40’s to start saving and investing, you will need to tuck away thousands of dollars per month to catch up to the amount that would have been earned in interest over those years. If you are use to a certain level of spending or living a particular lifestyle, only to find out that you are severely overspending your means, you absolutely need to make changes. These changes are going to be painful! Perhaps you are making ridiculous car payments on a vehicle that you couldn’t afford and never should have bought. But you are embarrassed to downgrade to an older vehicle and dread what people will think about you. You need to start focusing on yourself and your future – and not what others will think about you. Learning to only buy the things you absolutely need (and not only “want”) is going to be hard to get used to. However, you will thank yourself later on! Can you imagine how awful you will feel when you hit retirement age, only to realize that you spent your money on unnecessary products, when you should have been investing for the future and saving for old age? If you aren’t financially savvy, don’t let this tip discourage you! This is where a financial adviser and investment consultant comes in. Investing is an essential part of creating financial security – especially for the future. If you do decide to hire a financial adviser, make sure that you take responsibility for your choices and fully understand where you money is going. If possible, you don’t only want to rely on your day job as a source of income. If you are willing to hustle, you should be able to bring in a a side income to put towards expenses or simply save. Perhaps, like me, you would like to start a blog. Otherwise, you should try to find other sources of income. Dave Ramsey did a study on self-made millionaires. One thing he discovered was that many of these millionaires lived on one income, while saving and investing the other spouse’s income. I understand that many couples are not comfortable with this tip. Do whatever feels wise to you! However, if you and your partner agree to do this, it may be one of the wisest financial decisions you will ever make. 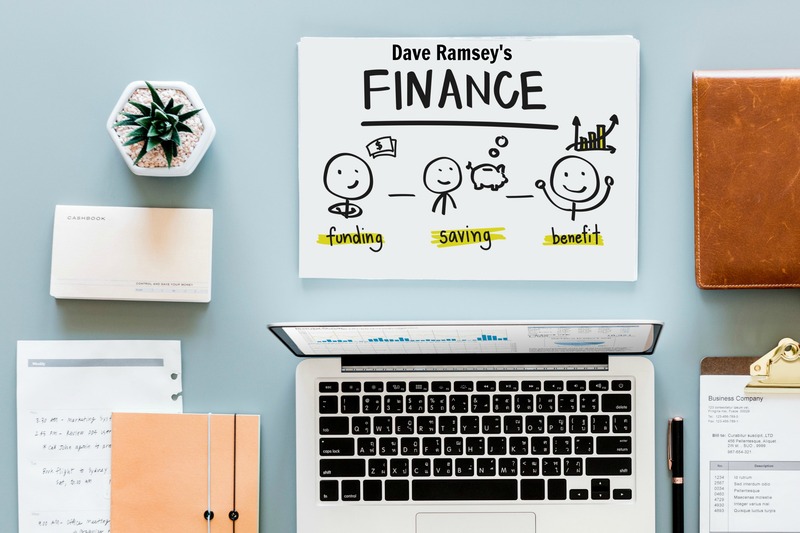 Dave Ramsey’s financial tips have changed so many lives! If you are interested in investing in your financial future, look into taking his finance course, Financial Peace University.